I found this beautiful, vintage tablecloth at my local thrift store a while back. I fell in love with it and knew I needed to take it home with me. I didn’t want it for my table…I wanted to wear it! I knew that I wanted to cut a waistband in it and transform it into a skirt. But even though I had a plan from day 1, it still took me over a year (if not closer to two) to be brave enough to cut into the tablecloth. This was been a trend in my life for so long! I have several items stashed away that I love, but can’t use in their current state, but am fearful of cutting into them because I’m afraid I will mess them up and ruin them. But at the same time I am getting zero joy from having them stashed away and in fact am causing myself to have more clutter. So I’m trying to challenge myself to be brave and take on these projects. Last week I finally resized a skirt I had been hanging onto for almost 9 years! You can check out that video HERE! That skirt turned out so amazing and definitely encouraged and motivated me to work on this one! Since my table cloth was an oval to start with I folded it twice to find the center point and treated it like I would any material I was using to create a circle style skirt. The only difference is I’m not actually having to cut or hem the bottom edge. 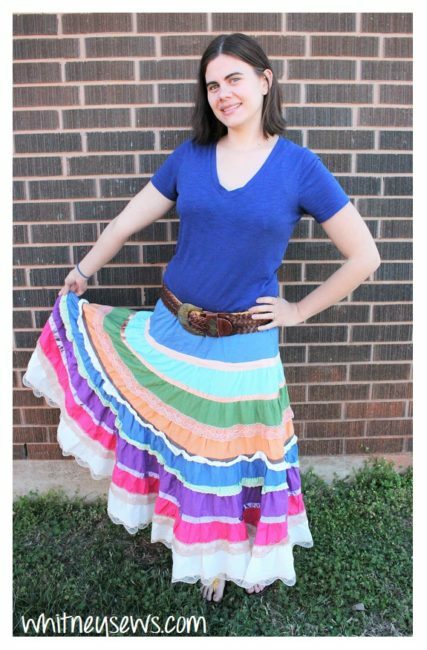 The skirt was quick and easy to make and looks so amazing. Watch the step-by-step tutorial HERE! 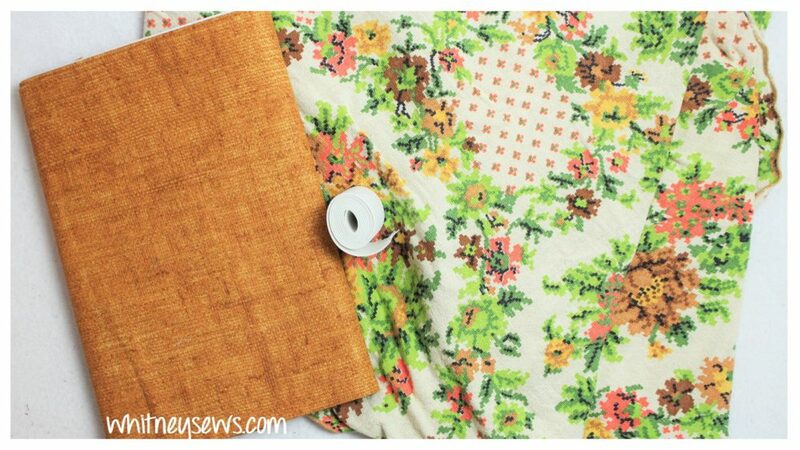 Let me know in the comments what item you have been hanging onto for a sewing project. I hope this post encourages you to create something you’ve been wanting to work on. Until next time, Happy Sewing! 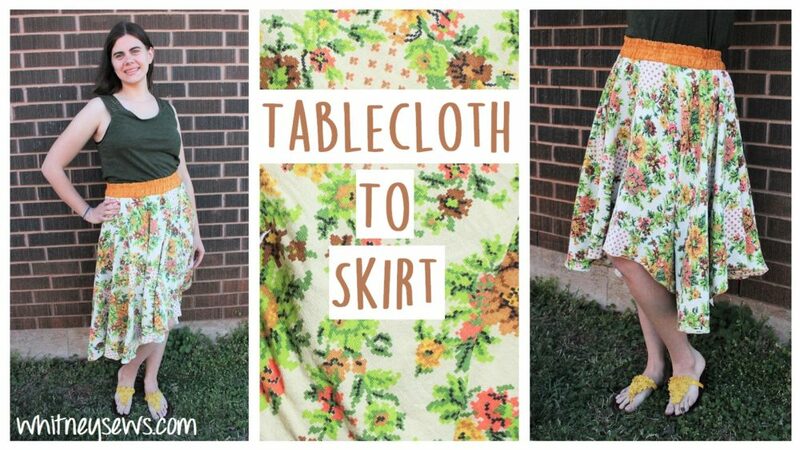 This entry was posted in Blog, Sew Your Stash and tagged DIY, How to, Refashion, refashion your style.